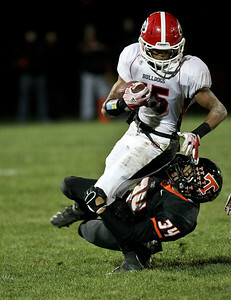 Crystal Lake Central defeated visiting Grant 30-13 to move onto the third round of the IHSA 6A Football Playoffs. 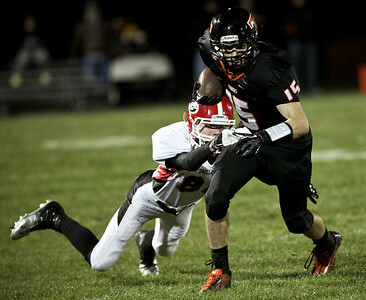 Josh Peckler - Jpeckler@shawmedia.com Crystal Lake Central's Isaiah Mosher runs with the ball while avoiding a tackle from Grant's Joe Sadausakas during the second quarter at Crystal Lake Central Friday, November 2, 2012. The Tigers defeated visiting Grant to move on to the third round playoff game. 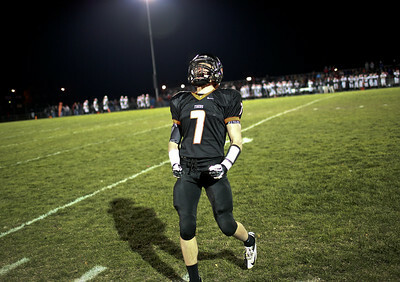 Josh Peckler - Jpeckler@shawmedia.com Crystal Lake Central's Jordan Wallace screams while heading towards the sideline after stopping Grant on a fourth down during the third quarter at Crystal Lake Central Friday, November 2, 2012. The Tigers defeated visiting Grant to move on to the third round playoff game. Josh Peckler - Jpeckler@shawmedia.com The moon rises behind a referee during the Crystal Lake Central and Grant football game at Crystal Lake Central Friday, November 2, 2012. 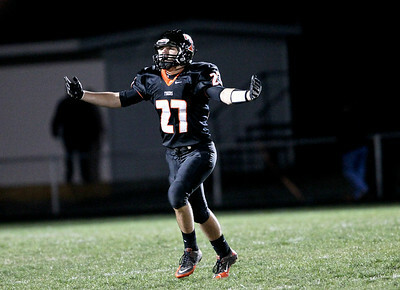 Josh Peckler - Jpeckler@shawmedia.com Crystal Lake Central's Kevin Peisker celebrates a Tiger touchdown against Grant in the second quarter at Crystal Lake Central Friday, November 2, 2012. The Tigers defeated visiting Grant 30-13 to move on to the third round playoff game. 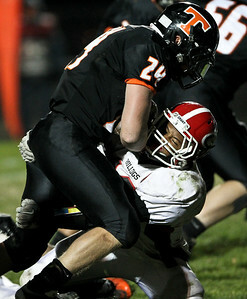 Josh Peckler - Jpeckler@shawmedia.com Crystal Lake Central's Darwin Stone (34) tackles Grant's Keion Miller during the second quarter at Crystal Lake Central Friday, November 2, 2012. The Tigers defeated visiting Grant 30-13 to move on to the third round playoff game. 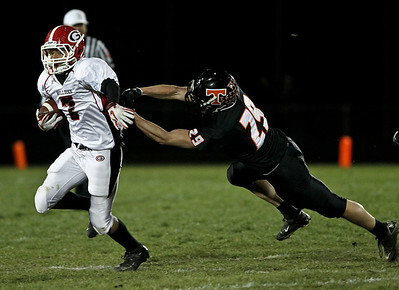 Josh Peckler - Jpeckler@shawmedia.com Crystal Lake Central's Tyler Jenkins runs away from the Grant defense during the fourth quarter at Crystal Lake Central Friday, November 2, 2012. The Tigers defeated visiting Grant 30-13 to move on to the third round playoff game. Josh Peckler - Jpeckler@shawmedia.com Crystal Lake Central's Connor Hines holds up the football in the end zone after scoring a touchdown in the third quarter against Grant at Crystal Lake Central Friday, November 2, 2012. The Tigers defeated visiting Grant 30-13 to move on to the third round playoff game. 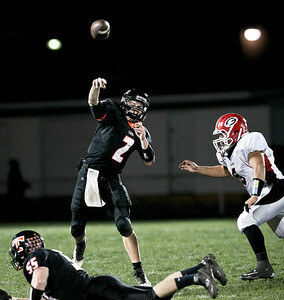 Josh Peckler - Jpeckler@shawmedia.com Crystal Lake Central quarterback Kyle Lavand throws a pass against Grant during the third quarter at Crystal Lake Central Friday, November 2, 2012. 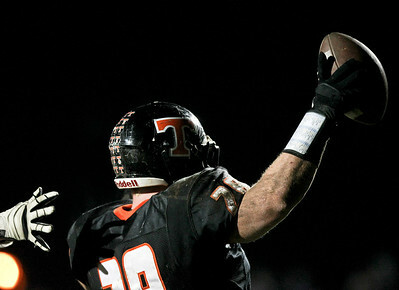 The Tigers defeated visiting Grant 30-13 to move on to the third round playoff game. Josh Peckler - Jpeckler@shawmedia.com Crystal Lake Central's Luke Francis reacts to a penalty from a referee during the second quarter at Crystal Lake Central Friday, November 2, 2012. 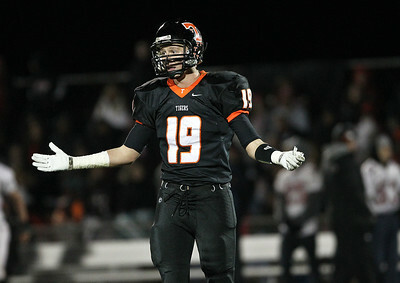 The Tigers defeated visiting Grant 30-13 to move on to a third round playoff game. Josh Peckler - Jpeckler@shawmedia.com Grant's Jeremy Bredwood tries to break away from Crystal Lake Central's Brent Pfaff during the second quarter at Crystal Lake Central Friday, November 2, 2012. The Tigers defeated visiting Grant to move on to the third round playoff game. 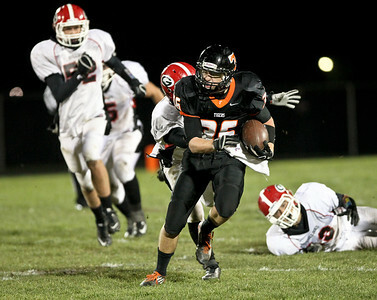 Josh Peckler - Jpeckler@shawmedia.com Crystal Lake Central's Matt MacAlpine (24) tries to break free from Grant's Billy Sullivan during the fourth quarter at Crystal Lake Central Friday, November 2, 2012. The Tigers defeated visiting Grant to move on to the third round playoff game. 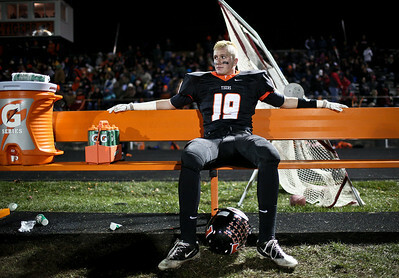 Josh Peckler - Jpeckler@shawmedia.com Crystal Lake Central's Luke Francis takes a break on a bench as he watches the offense on the field during the fourth quarter at Crystal Lake Central Friday, November 2, 2012. The Tigers defeated visiting Grant to move on to the third round playoff game. 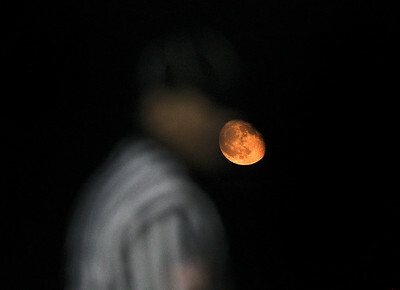 The moon rises behind a referee during the Crystal Lake Central and Grant football game at Crystal Lake Central Friday, November 2, 2012.